On this edition of Priority Talk, we focus on two Supreme Court Rulings announced. One dealing with Crisis Pregnancy Centers and the other immigration policies. 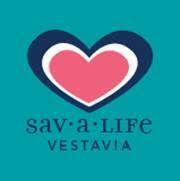 Julie McLendon with the North Jefferson Women's Center and Lisa Hogan with Sav-a-Life Vestavia join us in studio to discuss the importance of today's first ruling and its affect on Pro-life Crisis Pregnancy Centers. Posted on June 26, 2018 by Greg Davis.